I read Mark 1 this morning and it set my heart free. 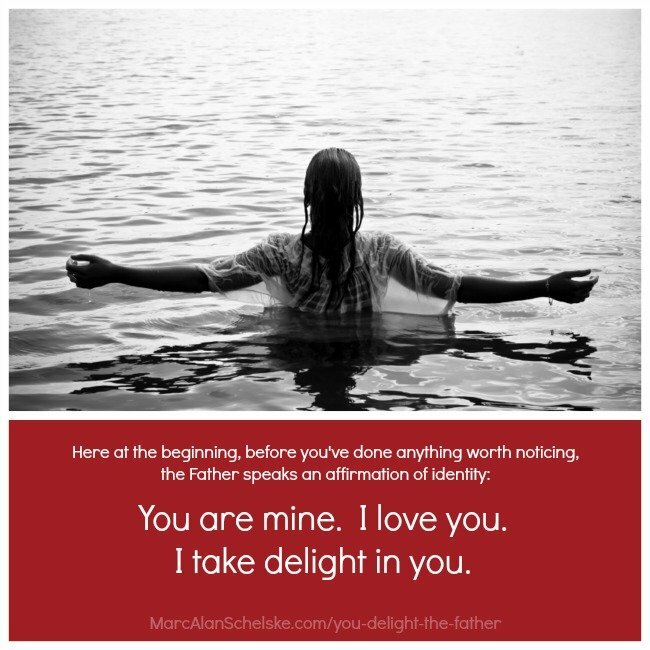 You Delight the Father. Be Free. I’ve been carrying a heaviness in my gut for the past few of weeks. So much busyness, yet I’m making hardly any headway in the projects I care about. I’m not living up to my own expectations in my relationships. Just feeling out of sorts. This morning I went back to the Gospel of Mark, feeling a need to start again. Words I read there pushed hard against my heart. This heaviness cracked open and I started crying. Mark’s gospel opens with John the Baptist pointing the way to the Messiah. People were responding to his message, repenting from sin, turning their lives around. Jesus shows up in the crowd and is baptized. Then, one of the most precious moments in the Bible happens. 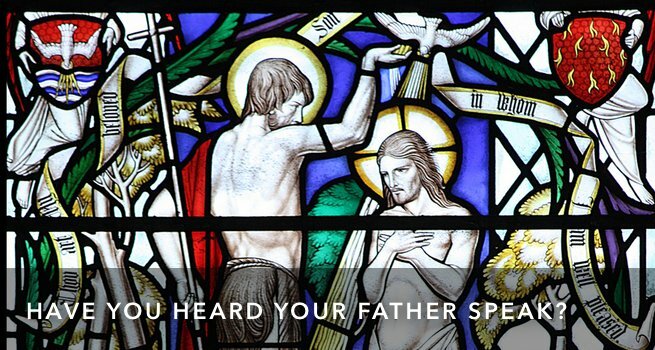 As Jesus comes out of the river, water pouring down his face, he hears the Father speak. These are the words of fatherly blessing. “You are mine. You belong to me. I take delight in you.” Powerful, heart-shaping words. Freeing word, really. Waiting to hear a father speak. My own father story is fragmented. I’m adopted. I don’t know my birth father. The only facts I know about him don’t paint him in a positive light. Ken was, I think, a great dad. But life being what it is, I only got him for a while. He died in an accident when I was eleven. In so many ways my life has been shaped by a deep and painful search for a father to say to me the kinds of words that Jesus heard. That search put me on a path about performance. Flawed childhood logic suggests that if I can do a good job, if I can bring value to the table, then I’ll be accepted, valued, and affirmed. People being what they are, this strategy works. At least for a while. Be a good kid, a responsible kid, a spiritual kid, and you will get affirmation and acceptance. Be mature and capable, work hard and over-perform, and you will get included when people need someone like you. Which is almost always. The problem with this great system is that, at some point, you discover that your sense of value is based on other people’s measurement of your performance. You’ve handed your sense of self off to other broken people, given your mental and emotional wellness into the care and keeping of people who are only trying to build their own sense of value. When they break down, or you break down, and you can no longer perform, or they are no longer willing to affirm you, what’s left? Pain. Alienation. Desperation to recover a sense of place. These are things I’ve been aware of for a long time now, things that I’ve worked hard in my journal and therapist’s office to name and uproot. I’ve grown, I think, in the last four years. I can see these threads in my life and thinking now, and many times can even laugh at them, and carefully move around them, like someone picking their way through a thicket of blackberry bushes. Apparently these last few weeks I’ve not noticed the overgrown bramble coming in strong over the back fence. And my heart has been heavy. When does the affirmation come? This morning when I read about Jesus and the Father’s words pouring down over his heart like the flowing water of baptism, I started crying. It’s there to see, if you take the time to look at the story. Jesus’ baptism of affirmation happened before he had done anything significant. He had not healed anyone yet. He hadn’t preached. He hadn’t said any of the things that we quote two thousand years later. There was no following, no crowd, no disciples. Nothing. What is there to delight in? What is there to celebrate? Nothing it seems. Except for identity. The Father takes delight in the son. Not in the son’s accomplishments. (My heart rebels a little right now, even writing that. Can it really be true?) The Father isn’t affirming the son’s notoriety. Not even the son’s vital mission. None of that has happened yet. That’s why I started to cry. The buzzing background noise in my heart these past weeks became clear. Whispering, condemning voices: You’re not measuring up. You’re going to be excluded again. You’re failing. These words in Mark’s gospel helped me see clearly through my cluttered heart. My value isn’t built on my parenting or my marriage. 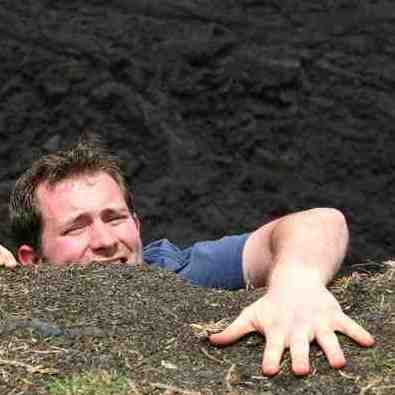 It doesn’t emerge from the quality of my writing, or how many people read my blog. My identity isn’t my Facebook profile or my Amazon writer’s page. Even if my writing or speaking helps someone (which I dearly hope), that’s not what defines me. Before I did anything of note, before there was anything to praise (or correct), God, the Father of Jesus, created me in His image, and blessed me as a son. Before I did anything lovable (or unlovable) God, the Father of Jesus, declared that I am known, that I belong, that God takes delight in me. In case my wandering heart is still unclear, God sent Jesus after me so that I could know I was adopted and included, so that I could see the depths of the Father’s love. Are you ready to be free? These past weeks I’ve been choosing to carry a heavy load. Acting responsible for so many things in the world that I truly have no control over. Then feeling like a failure because I couldn’t control those things. It’s a joke, really. But I know I’m not alone. Maybe you are feeling that same weight, feeling like you’re scrabbling up a rocky hill, and the ground keeps crumbling out from under you. Like you’re just not measuring up. Maybe you need to read and reflect on Mark, chapter 1. Maybe you need to hear the Father’s words to you as well. Before you did anything significant or worthy, before you won or lost, the Father already said the words. Here at the beginning, before you’ve done anything worth noticing, the Father speaks an affirmation of identity. For me these words are freeing. Maybe they can be for you. As my heart remembers that I already belong, that God already delights in me, then I am freed to give my very best to the day that lies ahead, without having to turn my effort into a measurement of my value. I can do my best to show up in my marriage with compassion and patience and a heart of service. If my wife has a bad day, I can remember that her satisfaction with me is not the measurement of my value. Knowing that God delights in me, I can show up as a father in my own kid’s lives, and know that their obedience isn’t an indication of my value. I can show up in my pastoral role and know that I will give my best, and yet my value isn’t determined by how many people show up, or how well our church does, or whether my counsel is wise and helpful. Knowing that I already have belonging, I can show up to write, and give my best. Instead of writing with you over my shoulder, always wondering if you will like it, if you will share it, if you and your friends will show up, I can set all that aside and just tell the truth. Just write the truth I’ve been given, from the heart I have, and trust that I am giving what I’ve been called to give. See, that means I’m free. I can be in this moment–the one I’ve been given–and I can bring my best to this moment (or not… since I pretty often blow that too) and know that my value isn’t on the line. When was the last time you heard someone tell you they valued you for your self, not for something you accomplished? How did that make you feel? How did those words impact your relationship with that person? Listen to God’s words to Jesus in Mark 1. What do they say to you? There are 7 comments Mind the Comment Policy.